Great deals on great items in support of a great organization! 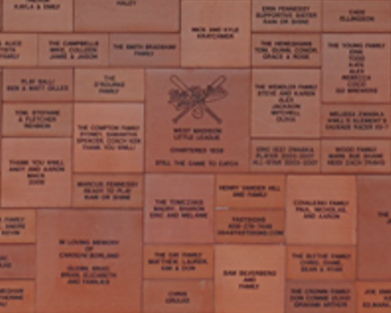 WMLL will be holding an apparel & commemorative brick sale fundraiser on Saturday, October 13 (11 AM – 6 PM) at the WMLL Picnic Porch (weather permitting). Shop the Apparel Sale which will include MANY clearance items! GREAT ITEMS! 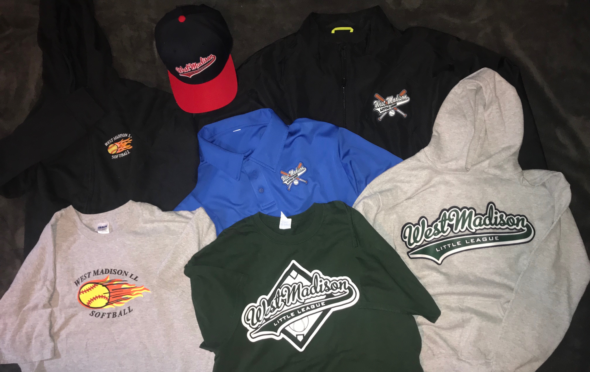 Items include WMLL & WMLL softball t-shirts, caps, hoodies, golf shirts, windshirts, sweatpants & more. GREAT DEALS! The sale includes MANY clearance items with savings of 50-80% and almost all items will be sold for $5-10. Lock in your special WMLL memories for generations to come! Order a commemorative brick with a custom message that will be mounted on the wall of the Stop-N-Go Picnic Porch. General Donation: Your donation will help WMLL deliver a fun, first class environment for our players to learn & enjoy the games of baseball and softball as well as the fundamental principles of sportsmanship, courage, discipline, teamwork, physical well-being and doing one’s best. Player Scholarship Fund Donation: This fund is used to assist families for whom the WMLL registration fee would be a financial hardship. Families must meet certain criteria to be eligible for scholarship consideration & pay a minimum of $75 for spring/summer ball or $50 for Fall Ball. 100% Tax Deductible: West Madison Little League is a 501c3 organization, so all contributions are 100% tax deductible. Challenger League featured on WISC-TV News 3Be sure to attend the 2018 WMLL Annual Meeting on Sat, Oct 27! Know the rules of the game! HELP WANTED! Work & learn as a WMLL groundskeeper!